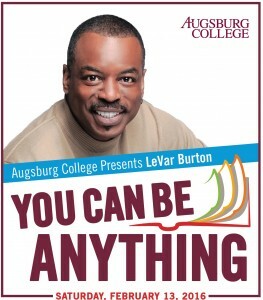 (MINNEAPOLIS) –Actor, director, writer, producer and educator LeVar Burton, best known for his roles in Roots, Star Trek and Reading Rainbow, will share with the Augsburg community the importance of turning STEM into STE(A)M – integrating science, technology, engineering and math with the arts and design. The Scholarship Weekend event is built upon the successful model used during 2015, in which Bill Nye “The Science Guy” spoke to a packed house of more than 2,000 prospective students, their families, members of the Augsburg community, and the public. 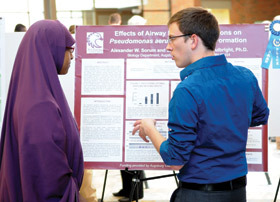 During the 2015 Scholarship Weekend, more than 175 students had the opportunity to be challenged by deep questions of planetary science, climate change, evolution, environmental awareness, and more. All tickets are general admission with seating available on a first-come, first-served basis. 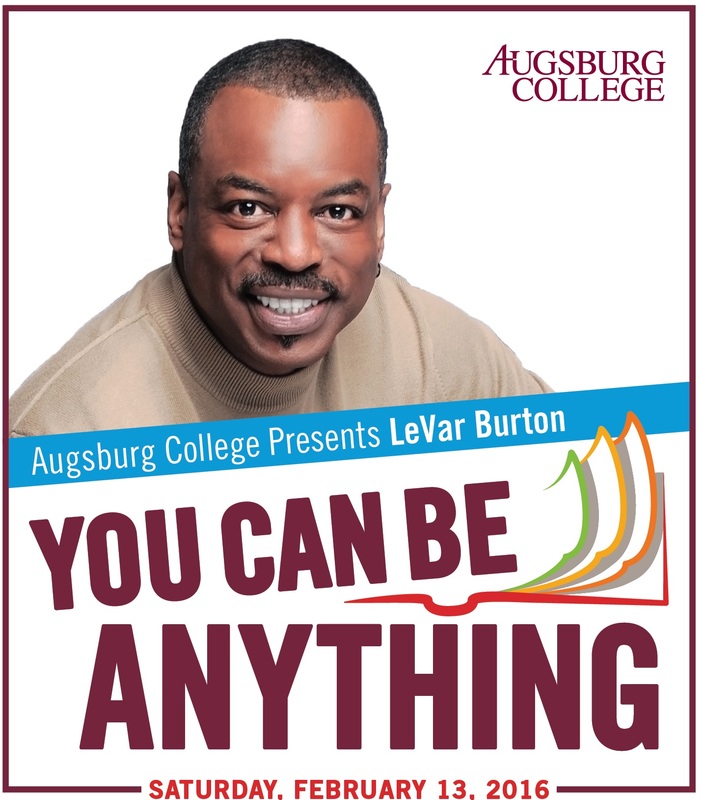 A presale will be held for Augsburg College students, faculty, and staff.